In this edition of Five Thoughts, Mo Nuwwarah talks PCA buy-in drop, a big chop at WinStar, and poker as a sport. The Masters. The U.S. Open. The Open Championship. The PGA Championship. People pay attention to golf year-round, but there's no doubt more eyes focus in on golf's four majors, which carry the most prestige for the winner. The same goes for tennis' four majors: the Australian Open, the French Open, Wimbledon, and the U.S. Open. Poker isn't a sport — we'll talk more about that later — but there's a natural parallel to be drawn between poker and golf/tennis as competitions of individuals rather than teams who must travel to different parts of the globe to ply their trade on the biggest stages. Given the parallels poker shares with these sports, there's a natural inclination by fans and media to elevate a select group of tournaments to the top of the game as poker's own unofficial grand slam. 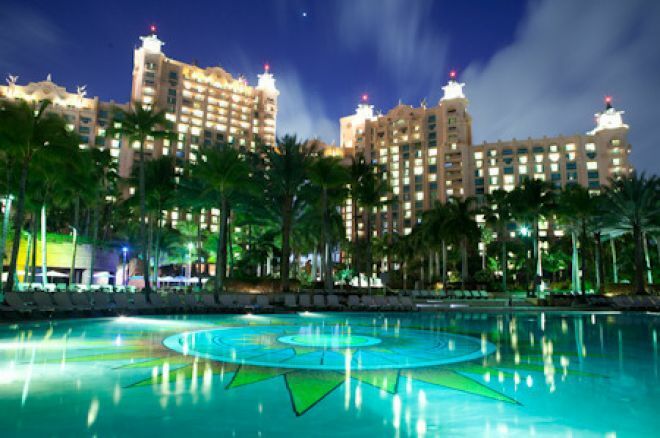 One of the tournaments undoubtedly in the conversation: the PokerStars Caribbean Adventure (PCA). The PCA has long been one of the premier tournaments on the live circuit. Its inception year in 2004 had a first-place prize of $455,780 — won by Gus Hansen — and then 2005 featured $890,600 up top. Since then, seven figures have been the norm for the winner, with a peak of $3 million when Poorya Nazari took it down in 2009. Entry numbers have declined in recent years. The tournament drew more than 1,300 runners from 2009-2011, but a sharp drop after Black Friday led to turnouts of 1,072, 987, 1,031, and most recently 816, the lowest number since 2006. Kevin Schulz still banked just shy of $1.5 million. Perhaps in response to the decline, PokerStars has opted to cut the buy-in from $10,300 to $5,300, which will even it out with the other events on the European Poker Tour schedule. Recently wrapped up EPT Barcelona drew a record 1,694, and even that first-place prize won by John Juanda barely squeaked over €1 million (a deal was made), so the streak of prizes over $1 million figures to be over. On a recent episode of the PokerNews Podcast, Editor-in-Chief Donnie Peters expressed his disappointment, wondering aloud if PokerStars is too worried about the numbers and not enough about the prestige of a tournament that's long been one of the highlights of the poker circuit. I can see both sides of this. On the one hand, what does the drop in cost really do? One well-known pro told me he has eyed the PCA for years, but hasn't pulled the trigger because he "couldn't justify the cost." Indeed, I covered the PCA for the first time this January and the prices around Atlantis were certainly eye-opening. So yes, some domestic pros who travel circuits in their region to grind out a living may make the jump. But I don't imagine a bunch of casual poker players are going to all of a sudden perk their ears up and scurry to the nearest travel agent and book to the Bahamas. That's still a lot of money to the average recreational player, who will mostly likely just ration out their poker funds to keep playing Mid-States Poker Tour, RunGood, and World Series of Poker Circuit events in their backyards. The type of player who is going to pony up for a stay at Atlantis and a $5,300 freezeout is likely not going to bat an eyelash at another $5,000. On the other hand, with numbers dropping to levels not seen in a decade, I can understand the pressure PokerStars likely felt to try to shake things up. Our own Rich Ryan predicted a turnout bigger than the 1,031 of 2014 for this year's event, so it was certainly a shock to many to see the numbers dip so low. There's a lot of competition out there as aforementioned tours gain stronger footholds in their respective regions. You'd be hard-pressed to find a weekend where there isn't a good-sized event going on somewhere in the U.S., giving poker players less reason than ever to venture far from home, where their wallets take more of a hit. So are the days of the PCA being part of poker's grand slam finished? It's hard not to see it as just another event in a slew of them now, blending in with similarly-priced tournies like other EPT events and $3,500 reentry World Poker Tour stops. The fact of the matter is these tournaments and many more have similar first-place payouts. One such tournament ended earlier this week. Maxx Coleman came out on top of a three-way deal to end the 2015 River Poker Series Main Event at WinStar World Casino. Having an overwhelming chip lead of about 20 million against Jake Haller and Joseph Skinner, who were each in the neighborhood of 4.5 million at Level 30 (50,000/100,000/15,000), Coleman pocketed $775,000 as part of the chop while the other two took roughly $345,000. The original payouts of the tournament called for a $1 million guaranteed first-place prize, a massive chunk of the $2.5 million guaranteed prize pool. To put it mildly that's... a little bit insane. It reminds me of some of these absurd DraftKings contests with $100,000 up top and $10,000 for second. Needless to say, I'm not a fan of such a payout structure. Some have questioned why Coleman would accept such a chop given his massive lead, but consider a few things. This score effectively tripled his career tournament winnings. Furthermore, even with a massive lead and 40-big blind effective stacks, the variance in three-handed poker is extremely high. And plugging the value of the remaining stacks in an ICM calculator reveals that Coleman got more than the value of his stack, which was roughly $770,000. I wasn't much of a deal-maker when I made deep runs online, and I never even discussed a chop at the few final tables I've found myself at in live events, but the biggest prize at any of those tournaments was $25,000. Given the size of the second-place bubble at WinStar, it would be a little nuts not to cut a deal. We can all agree our game is an awesome one (most of the time). Of course, there are times it can be maddening, frustrating us to the breaking point, and making us question why we even bother, but there's a beauty in the competition of poker that we as players all appreciate. Competitive though it may be, poker is not a sport. Recently, Alex Dreyfus penned an article in the Huffington Post in which he asked what he called the rhetorical question of whether poker was a sport, to which he answered "yes and no." I think there's a pretty easy and clear answer to this one: no, poker is not a sport. Poker has far more in common with competitive gaming than sport. Yes, there are small physical elements in both, but not nearly enough to meet the admittedly arbitrary criteria of "sport." Dreyfus asserts that succeeding at the highest level "requires a very healthy lifestyle." I'm not going to start dropping names, but I think we can all think of more than a few top poker players who couldn't exactly roll out of bed tomorrow and run a 5K. I think the idea of poker as a sport is just going to induce eye rolls and chuckles from those outside the industry. Poker is an incredible game replete with depth, strategy, and drama, and it doesn't need to be pushed as a sport to be legitimized. Those who do master this amazing game and continue to demonstrate their skills for a number of years may someday find themselves in the Poker Hall of Fame. The Poker Hall of Fame features 48 members, and each year, another or two candidates are selected to join their hallowed ranks. This year's class of 10 finalists features a slew of poker legends like John Juanda, Carlos Mortensen, and the late David "Devilfish" Ulliott — check out the full list here. Now, the 23 living members of the Hall and a 16-person media panel will decide which of the bunch best embodies the values of playing well for high stakes against top competition while standing the test of time. Trying to enshrine people based on these qualities is difficult in a game like poker, where often the "score" is never known besides to those who participate in the biggest games. Acknowledging the difficult task they face, I hope the panelists exert every effort to determine which of the candidates gains poker immortality this fall in the ceremony during the November Nine. Mere nomination for the Poker Hall of Fame is a huge honor, so congratulations to all of the candidates. With the Patriots' 28-21 victory over the Steelers on Thursday, the NFL season has officially kicked off again. Every year, the Westgate in Las Vegas hosts the SuperContest, a $1,500 handicapping bonanza in which players pick five games a week against the spread. It's been around since 1989, but the contest has exploded in popularity in recent years, reaching 1,403 entries last season, with first place getting a whopping $736,575. Well, this year, as avid listeners of the PokerNews Podcast have already heard, your favorite poker media heroes have banded together for an entry. Under the contest name BookieSmash, PokerNews' sister site under the iBus Media umbrella, we'll be doing a podcast every week where we break down our picks and verbally skewer each other. It should all be good fun, so be sure to tune in weekly, starting today.